A full lower extremity evaluation is necessary, evaluating for any co-existing deformities as well. Analysis of gait is also important to rule out a varus thrust to the knee. 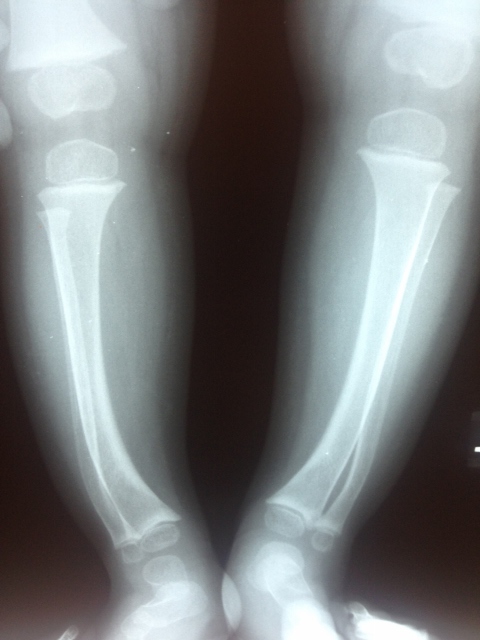 Evaluation of the knee in a child with genu varum is easily performed by measuring the difference between the inner aspects of the knee when the feet are touching. Intercondylar distance (the space between the knees) at birth is approximately 5-6 cm. At age six months the difference is usually 2.5 cm. It approaches 0 cm just after the age of one. 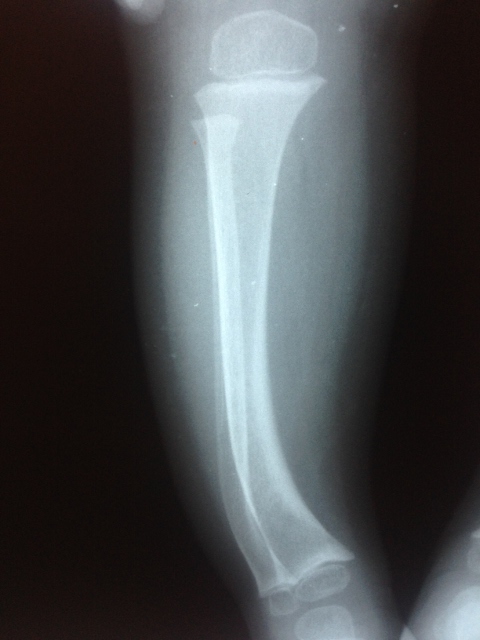 In some cases x-rays may also be taken to evaluate the angle made perpendicular to the lower axis of the lower leg bone (tibial diaphysis) relative to a line going through the upper leg bones metaphysis (growth plate region), “metaphysical-diaphysial angle”. 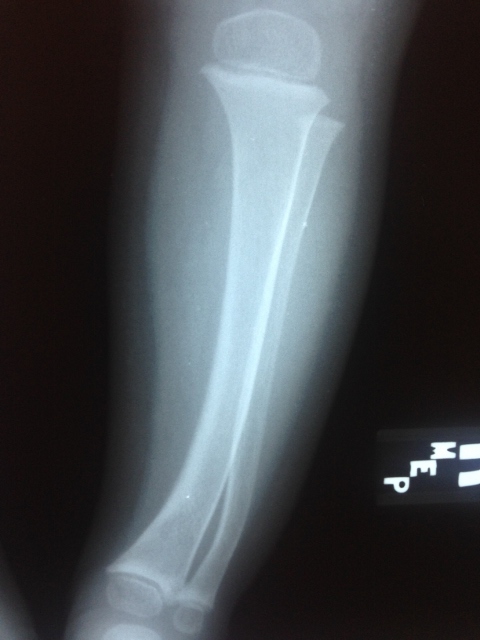 This helps to evaluate the degree of deformity that may be present in the knee (proximal tibia area). This can help to differentiate what is normal physiologic bowlegged from other deformities that could be problematic.